So, after 8 months of working at NASA Kennedy Space Center, I finally was able to see a rocket launch up close while at work. 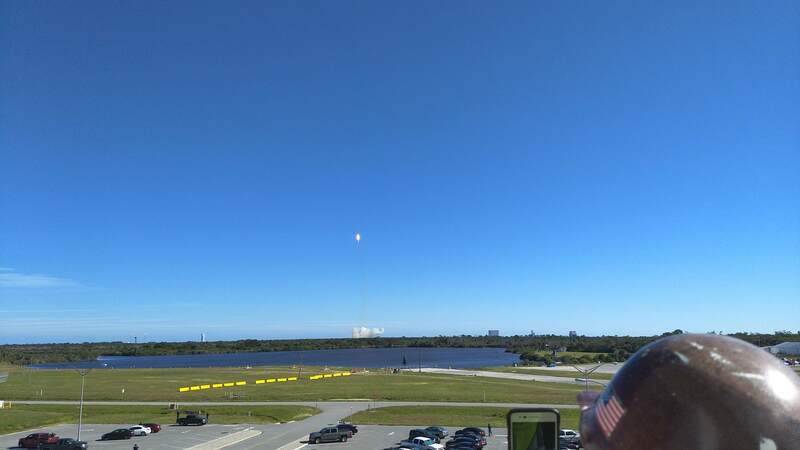 Yesterday at Cape Canaveral on pad 40 SpaceX launched the Falcon 9. 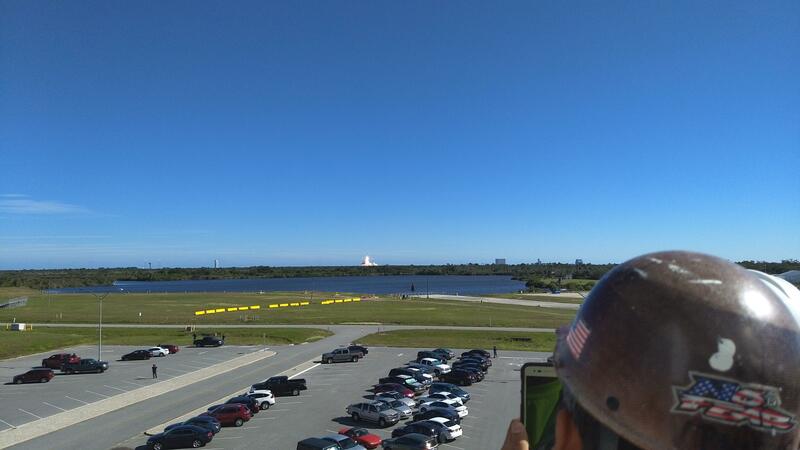 The pictures and video you see below are from the view point of the Launch Control Center next to the Vehicle Assembly Building. My apologies for the blurry images and video. My smartphone camera is pretty horrible. Next time I’m going to try my best to use my Nikon D3400. This entry was posted in Cape Canaveral, Kennedy Space Center by Ed. Bookmark the permalink.